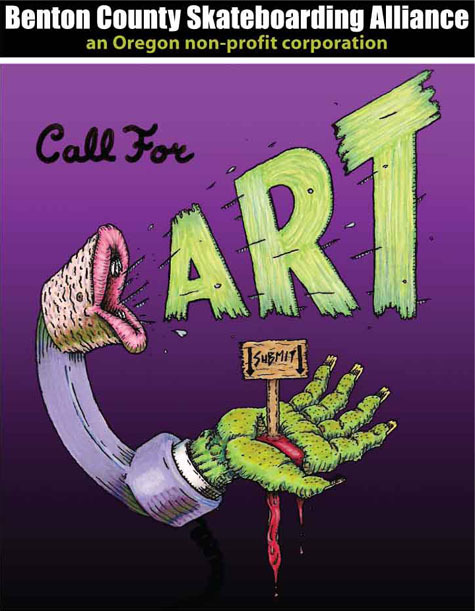 The BCSA is gearing up for it’s fourth annual art and music benefit and is looking for some artful donations to support their cause, raising funds for a new bowl at the Corvallis skatepark. 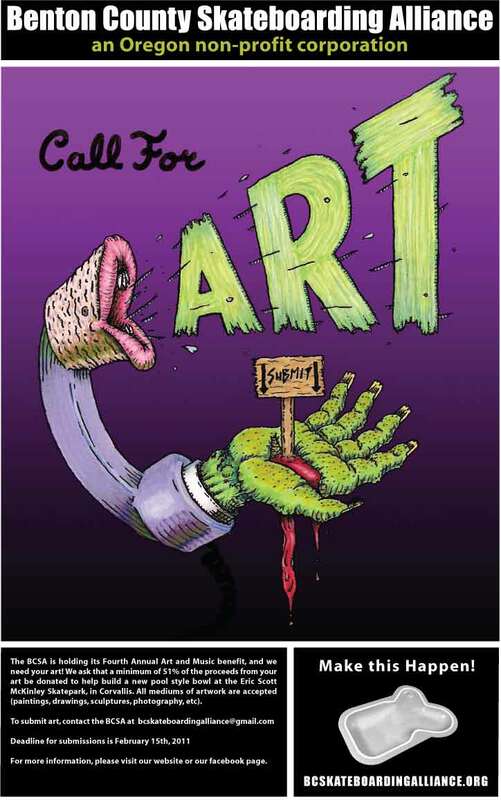 Grab some art supplies and get busy because the submission deadline, February 26th, is rapidly approaching. Check out all the details on the flier after the turn. EPM “create to skate” Out! deadline is extended until feb 26th! thanks rich!